Top 10 Reasons YOU Should Go! The reality is that not all men have good intentions. Always strive to live an honest life, but don’t be fooled into believing everything you hear because you never know for sure who is being honest. 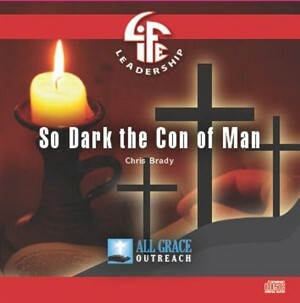 Chris Brady enlightens us with his convictions of Christian living and dealing with the dark side of man. Live your life as a God-fearing citizen and be careful as a man has the ability to create a set of lies that can hurt a pure soul. Don’t drown in dark water; swim to the light and set yourself free. Live honestly and truthfully and seek the same within those you surround yourself with. If you encounter a dark person with impure intentions, you can still treat him with respect while keeping him at a distance. Handle all situations with the grace and dignity that a Christian individual should display. Sure, the con of a man can be dark, but the honesty of a man outshines the deceit! In the Bible, there are spiritual laws that say when you really need your inner tubes that you’ve constructed and blown up for yourself, you will find out that they’re nothing but air. They will not sustain you when the dark water comes. We invent our own gods and shape them like an inner tube and make them fit our needs so we can go on our adventures exactly the way we want. Then, the Bible stands there and says ‘No.’ There are things called gravity and buoyancy and there are physical laws at work here. This story is one of going slow in order to go fast; it’s about rediscovering and bringing back into favor a lost art, namely the art of vacation, and it is—or rather should be—a story about you. In the book that started it all, New York Times best-selling author Chris Brady demonstrates for readers the art of taking strategic, proper, restorative vacations that reinvigorate one for greater clarity of thought and increased productivity. 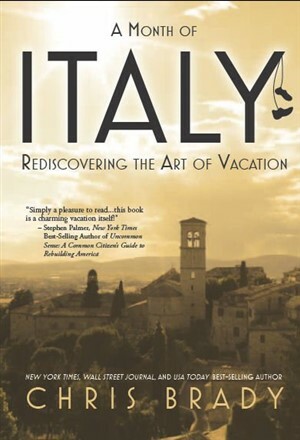 He combines wit and wisdom to detail the adventures of his family’s month-long sabbatical and charms readers with anecdotes of alluring Italy’s people, culture, landscape, scenery, art, history, and food. Grab your copy today and be inspired to take your own “radical sabbatical”! D.L. 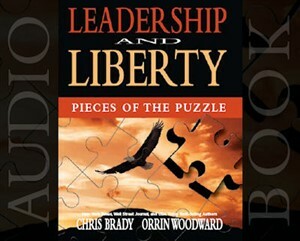 Moody said, “Our greatest fear should not be failure, but of succeeding at something that doesn't really matter.” It is in that spirit that Chris Brady and Orrin Woodward have collaborated to give us a book that speaks directly to living a life that counts. 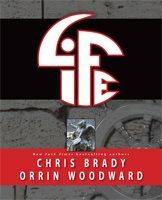 Life is unlike anything Brady and Woodward have yet produced. Teeming with original photographs and over a year's worth of their most popular Tweets, as well as the poignant and insightful essays you've come to expect, this book is as much a work of art as the life it will teach you to live. The Life book received a Gold ADDY® Award in the Collateral Material category at the 2011 District 6 ADDY® Awards ceremony and came back to win a Silver ADDY® Award for the LIFE book at the 2011 District 6 Regional ADDY® Awards. The ADDY awards are the world’s largest advertising competition which celebrates creativity in advertising. Are you hungry? 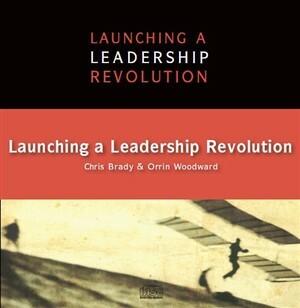 Through the interactive learning process of this companion workbook, you can gain greater knowledge of the material from the book that started it all: Launching a Leadership Revolution. Dig deeper into both the art and science of leadership (what a leader is, what a leader brings, what a leader does, how a leader grows personally, and how a leader grows in influence), and make sure you are ready to take charge when you are called to lead. 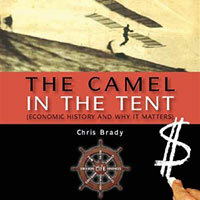 ***Purchasing this eBook entitles you to a maximum of 3 downloads of this book in either .epub or .mobi format. Your eBook must be downloaded within two weeks from the date of purchase. Once you have completed your purchase, your eBook can be downloaded immediately from clicking the link on your order receipt, or going to the “eBook Downloads” page from the main LIFE Shopping Cart screen. *Copyright © 2013 Obstaclés Press, Inc.
All rights reserved. No part of this publication may be reproduced, distributed, or transmitted in any form or any means, including photocopying, recording, or other electronic or mechanical methods, without the prior written permission of the publisher, except in the case of brief quotations embodied in critical reviews and certain other noncommercial uses permitted copyright law. There is no age limit on success. The Edge book delivers life-changing information to give you a head start on accomplishing your dreams. It’s time to get started on building your dream life! 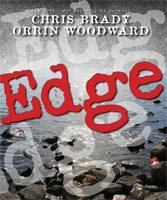 As adults, we tend to say, “If I had only known then what I do know now.” Imagine being a teenager or a young adult and saying, “I’m so glad I know now, what they didn’t know then!” Chris Brady starts the Edge CD Series off with an inspiring talk for the younger generation. 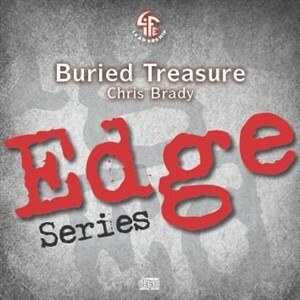 Using a historical approach, he discusses the philosophies of LIFE and the reason behind the Edge Series. Regardless of your dream, keep track of it and work towards it. Becoming educated in history and leadership principles will help you keep your eye on the dream. Start gaining an EDGE on your future today! The Life book received a Gold ADDY Award at the 2011 District 6 ADDY Awards and came back to win a Silver ADDY Award at the regionals. Chris and Orrin team up to bring you a book that speaks directly to living a life that counts. They deliver pick-me-ups, thought provokers, and game changers paired with stunning personal photographs. This will be the favorite coffee table book you’ll pick up again and again for quick inspiration and profound, timeless insight into how to get the best out of life. Order your copy today, and start living a much more meaningful life! 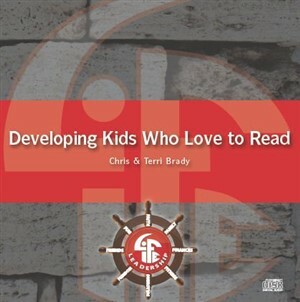 Chris and Terri Brady share personal stories about how they have helped their children develop an appetite for learning and offer some tips for helping your kids make reading their #1 choice over video games and TV. 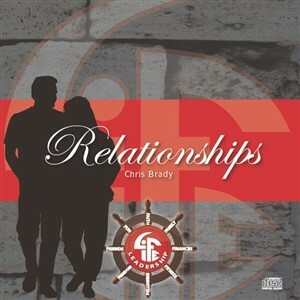 In this engaging and lighthearted talk, Chris Brady brings you hope and courage to help build everlasting, fruitful, positive, and flourishing relationships. Take personal responsibility and focus on YOU, not how the other person is doing or responding to situations. Change YOUR perspective without focusing on trying to change another’s view, and watch everyone around you follow suit with a warmhearted smile! Chris Brady lays out ten financial principles designed to assist you in achieving financial freedom and independence. Just earning more money is not the answer. You can earn millions, but you won’t be able to keep it for long if you don’t have your financial house in order. One brick at a time, build a strong, sound house that not even the big bad wolf can blow down. Rascals are fun, independent, difference makers who stand apart from the “herd.” They are the leaders you will follow into places you would not go by yourself. These leaders raise the energy level just by walking into a room. Rascals discover new countries, fly kites in lightning storms, conceive of life-changing ideas like airplanes, and build amazing businesses because they have a heart for others. When the critics are busy declaring that something cannot be accomplished, it’s a Rascal who interrupts them by doing it. And most incredibly, Rascals are leaders that do the right thing even when doing so means they will face ridicule, discomfort, and/or fear. The LLR book is presented in a clever, resourceful format and is easily referenced by topic. 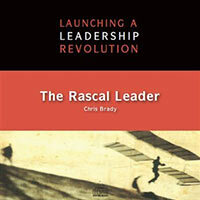 This talk and the LLR book are a powerful duo and a great gift idea for anyone striving for leadership success! Discover how Orrin Woodward and Chris Brady have become great educators by first educating themselves. There will always be something new to learn, so take the time to educate yourself and increase your knowledge and wisdom! Do not settle for knowing only the bare minimum about something and merely getting by. Become an expert on every subject you can and learn the principles behind everything you do, and you may just be the next one educating the masses! Following the crowd is not going to make you a winner. Break out of the crowd, be different, and work your way to the top. With change, you will create opportunity, and with the discipline to work every day on your goal, you will accomplish more than you dreamed you could! 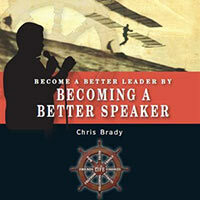 Listen to Chris Brady discuss all the different facets of speaking that combine into making YOU a better leader by learning to be a better speaker!! You’ll be laughing within the first 2 minutes of this talk! Then, because it’s so interesting, you’ll get drawn in quickly and be squinting your eyes as you concentrate to listen intently. The “F” for finance isn’t always the most interesting of all the F’s, however, this talk really is! Interesting insights, scary truths and more knowledge about money and finance. 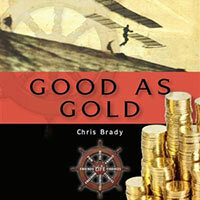 Good as Gold offers some remarkable information about this precious metal and how non-paper currency interacts in our overall fiscal climate. The goal in a successful presentation is to get the listeners sitting on the edge of their seats, hungry to hear what will be said next. Orrin Woodward and Chris Brady teach you fundamentals as well as special tips and tricks that will help you break out of your shell and improve your public speaking abilities so that you will always leave the audience wanting more. Can anyone say ENCORE? 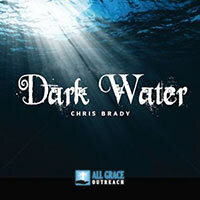 In this audio book, NY Times, Wall Street Journal and USA Today best-selling authors Chris Brady and <st1:st1:st1:st1:st1:st1:st1:st1:st1:st1:st1:st1:st1:st1:st1:st1:personname w:st="on">Orrin Woodward describe how the principles of leadership are instrumental in preserving freedom, liberty, and justice not only in our personal lives, but in society at large.